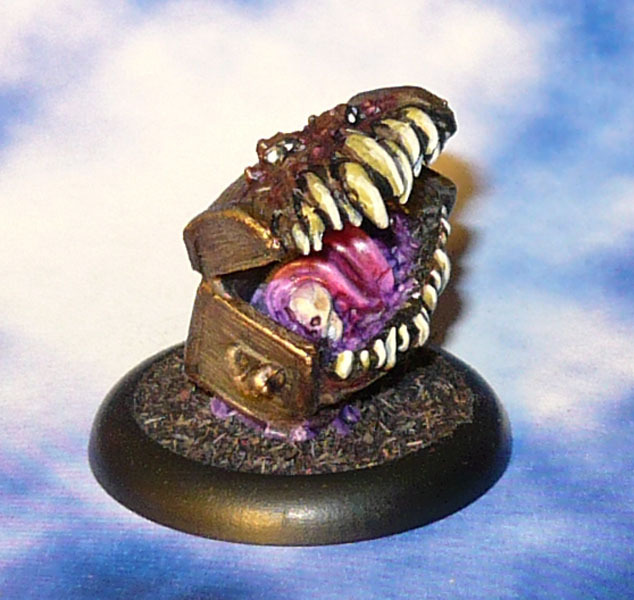 One of my all time favorite AD&D monsters is the Mimic. A beast that looks like any old dungeon furniture (warning: don’t ever google “Dungeon Furniture” if you want to avoid sanity loss) that makes a great trap for unwary adventurers. Reaper, who makes not-versions of almost every D&D-creature, make this “Mocking Beast”. ‘Cause “Mimicking Beast” would be to similar? 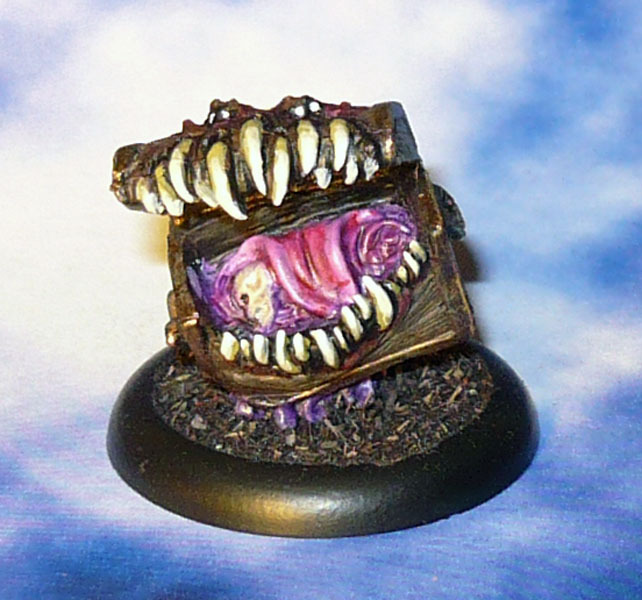 A great miniature that I for some reason have put off painting since it arrived with the first Bones KS delivery.